The Gnostic Gospels are popularly held as alternate and mysterious historical accounts of the person of Jesus Christ, particularly in films and novels such as The DaVinci Code, among others. Dr. Kenneth Calvert points out that in reality, Gnosticism’s main aim was to force the person and message of Christ into a familiar, Platonic philosophical framework. The fundamental issue with this interpretation of Christ is that, as Platonism rejects the material world, it cannot accept an incarnate deity. First of all, what are the Gnostic Gospels, and how are we to treat them in our Western heritage as sources of historical authenticity? Let me begin with the Four Gospels. The Four Gospels can all be dated within the first century. Can all be dated within the first and second generation of Christians. They begin to be quoted by other Christians in the late first century, early second century. So we have not only the Gospels in existence but people quoting them, using them as authoritative. That's very important to set the date and the context for the Four Gospels that we have. Do they agree in everything? 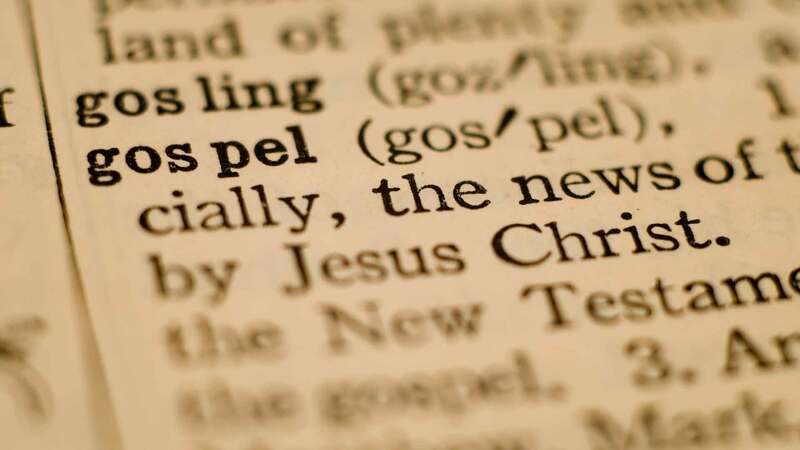 There's a lot of argumentation about that, but they are remarkably similar, remarkably consistent, and the early Christians all made attestation to those Four Gospels. They said, "These are our Four Gospels." Gnosticism may have existed before Christianity. It may have come along after the advent of Christianity. There's a great debate going on. Gnosticism is a bringing together of old-fashioned Greco-Roman paganism with Platonic philosophy, with Judaism, and ultimately also some Christianity thrown in. What the Gnostic Gospels try to do, and what Gnosticism as a whole tries to do, is to fit this person, Jesus, into a system, into a kind of spiritual system, that is highly [00:06:00] Platonic. The idea being that there is a God that exists outside of the material world, that has nothing really to do with the material world, sends a Son into the material world, a spiritual person into the material world, to give a secret Gnostic message. That secret Gnostic message is to save the elect from their material entrapment in the material world. It's very anti-material, very anti-incarnation. The idea that Jesus was God Incarnate is not a Gnostic doctrine at all. They would reject that.